Flying for Delta Air Lines provided me numerous opportunities to meet and interact with sports personalities throughout the years. One of my favorites was Tom Grieve, former baseball player as well as General Manager of the Texas Rangers and now TV Analyst for Fox Southwest Sports. Tom and I reconnected during the playoffs last month and chatted about the good ‘ole days. Tom is from Pittsfield, Massachusetts, which is only twenty-one miles from my hometown, Williamstown. During one of our annual trips back there, Rick & I were watching the Texas Rangers on TV at a pub. I was telling one of my childhood friends, Mike Haddad, how I worked the Rangers charters. Mike was all excited. “You must know Tommy Grieve then!” he responded in that distinct Yankee accent. Rick and I snickered as we never heard Tom referred to as Tommy, but we quickly found that not only was he known as Tommy, but also thought of as a local hero! Tom’s father passed away at the age of ninety-five this year. My dad, a Vermonter, lived to the same age. I told Tom both men had those hardy New England genes. Tom’s mother, in her nineties, still resides in the same house that he grew up in. Our hometowns are almost the same distance to both New York City and Boston. Because of this, fans in the area are split between the Yankees and the Red Sox. Tom remembers at the age of five while “helping” paint the house, a man said to him, “I’ll bet you’re a Red Sox fan.” Being at that age of doing the opposite, Tom thought a moment and then said, “No, I’m not.” The only other team he knew of was the Yankees so he told the man he was a Yankees fan. His favorite player in baseball …. Mickey Mantle, of course. What did Tommy want to be when he grew up? Not a doctor… not a fireman…not a policeman. He wanted to be a baseball player, just like his idol, Mickey Mantle. He was one of the kids gifted with the ability to hit the ball and was a star at Pittsfield High School. Upon graduation, he was drafted by the Washington Senators, the sixth pick of the first round. His parents were cautiously supportive of his career choice – his mother giving him sage advice “while it’s a nice dream to have, think of other things to do just in case things don’t work out. “ After playing a few years in the minor leagues, Tommy’s dream came true – the call to the majors – July 5th, 1970. When the franchise was moved to Arlington, Texas the following year and became the Texas Rangers, Grieve was the outfielder. The transition from Tommy to Tom occurred. He also picked up another nickname, TAG, his initials. Many ballplayers are known for their superstitions like stepping on one of the bases before running off the field at the end of an inning or spitting into one’s hand before picking up the bat. Tom limited his to if he had a great game, he would wear the same shirt the next outing. Off the field, he kept (and still does) his bills in descending order facing the same way. In 1976, he was Rangers Player of the Year thanks to an abundance of doubles, homers and RBIs. He was injury free except for getting hit by a pitch and being out with a broken wrist for one month in 1977. In addition to the Rangers, he played with the Mets one year followed by the Cardinals. Tom was lucky that his dream for a career in baseball continued with the Rangers even after his playing days ended. His stints included Group Ticket Sales and General Manager. 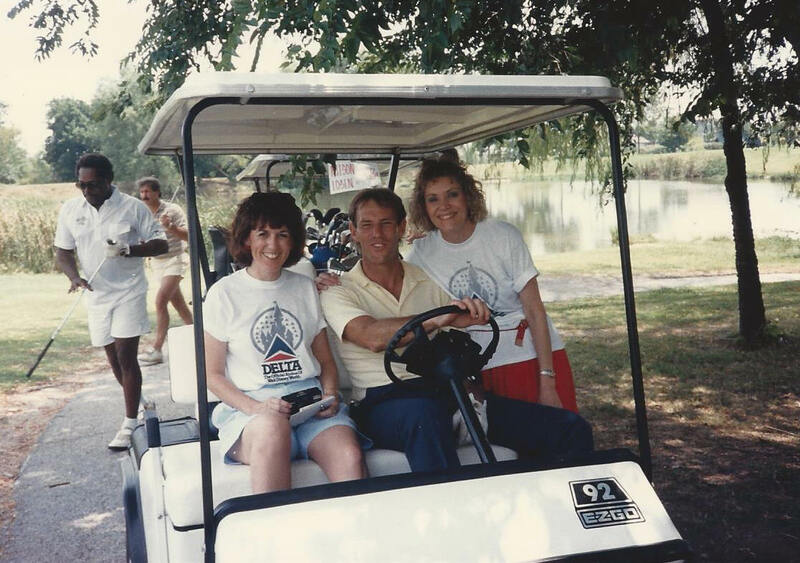 It was in 1986 that I met Tom while working the Texas Rangers Charters. Our paths also crossed at several of the charity golf tournaments as well as at spring training at Port Charlotte, Florida. One spring I took my mom, in her early seventies, and she was so excited with our seats right off the first base line. As I was introducing mom to Tom, he diplomatically explained that the location of our seats was a pretty popular area for line drives and then relocated us to seats behind home plate. Sure enough, several hard hits were driven toward our previous seats. 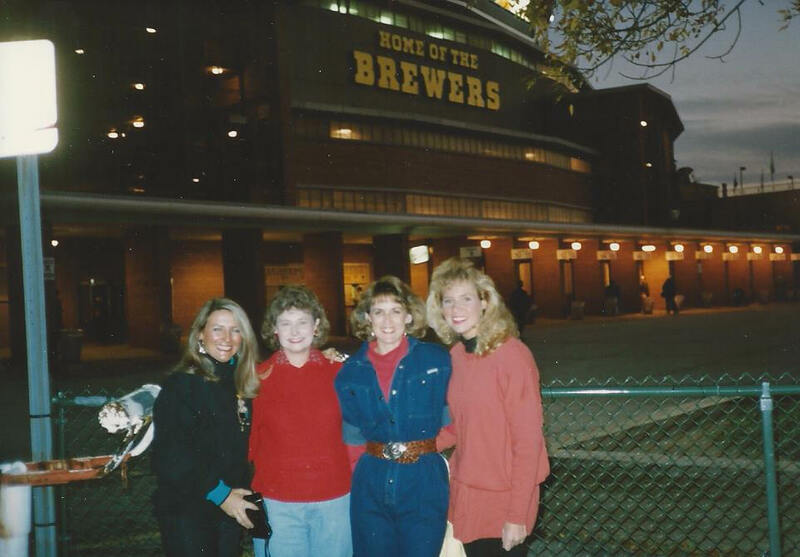 One year, three of my friends and I were scheduled with the charters taking the team to Milwaukee and bringing them back, so we stayed there at our own expense for that series. Tom let us sit with him in his box at the games. I was thrilled to be talking the mechanics of pitching with him while the other gals shivered in chilly fall temperatures.